Sean Solon ran his own legal firm in Dublin, Ireland for 16 years before deciding that it was time to follow his passion skiing and to spend his time in the Mountains of Colorado. He moved to Aspen in 2009 and worked for Fitzgerald Landscaping as a consultant for several years before joining our outdoor Team full time two seasons ago. Sean is a professional and committed foreman, really enjoys working in the outdoors and has taken and passed numerous landscape exams including the Associated Landscape Contractors of Colorado [ALCC] Hardscape exams. 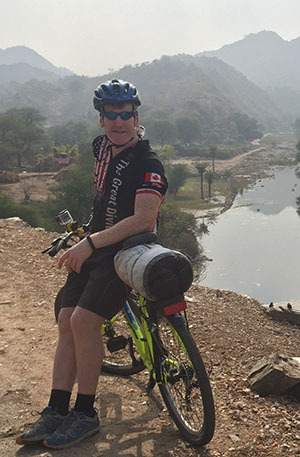 Sean’s other passion is mountain biking and his company Bike Adventures LLC offers the only fully supported tour of the 3,000 mile Great Divide MTB Tour from Canada to Mexico.